Eclipse in the Sound of Arisaig. This morning dark low clouds obscured the skies above Glenuig. 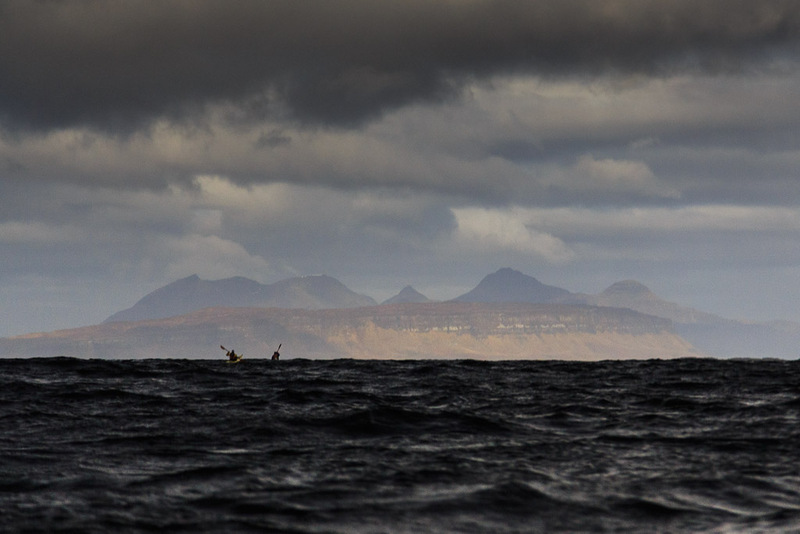 The fresh wind was blowing from the NW where the skies over Eigg and Rum appeared lighter. In order to try and see the eclipse we paddled out into the Sound of Arisaig. This photo was taken at was taken at 09:28. 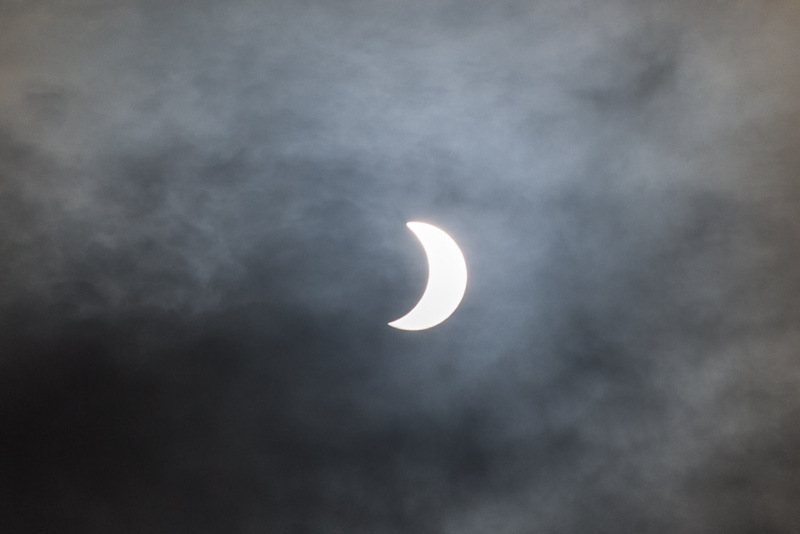 Unfortunately the clouds were too thick to see the sun and moon at maximum eclipse which was at 09:34. But at 09:56 the clouds thinned, just for a moment. I whipped the 5D mk3 out and got three quick shots. 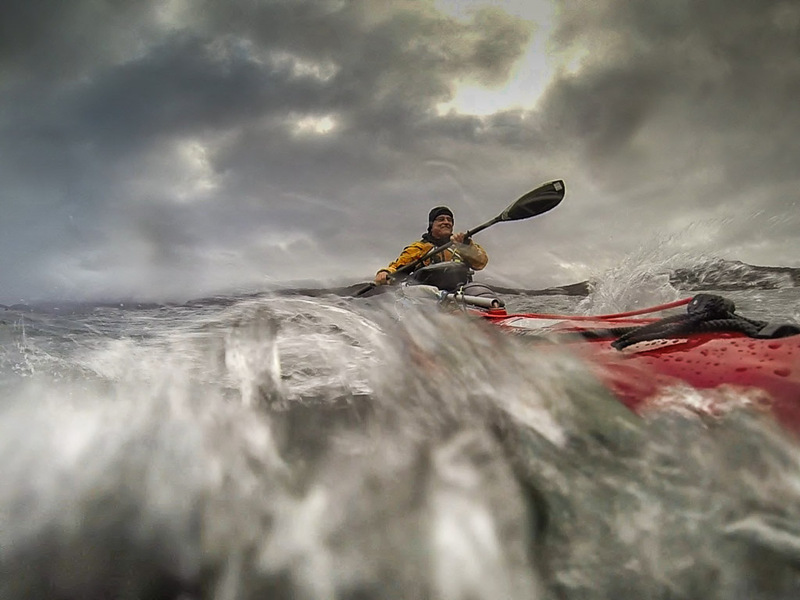 It was a tad tricky getting a non waterproof full size DSLR out in the water conditions. I now have three eclipses burned on my right retina, I just need to close my eye and I see them so clearly...who needs photos?